A U.S. World War II-era bomb discovery caused the evacuation of 1,300 people from downtown Hong Kong over the weekend. A construction worker found the bomb at 7:40 a.m. on Saturday, Jan. 27, almost 50 feet underground at a construction site for a $11.17 billion transportation project, the Daily Mail reported. The bomb is believed to have been dropped by the U.S. when Japan occupied Hong Kong during by World War II. Specialists worked overnight to secure the area and then dismantle the bomb. They managed to complete the task today by 1 p.m. local time on Sunday, according to the Daily Mail. The 1,000-lb. bomb contained almost 500 pounds of explosives, and the diffusion process took 12 hours. 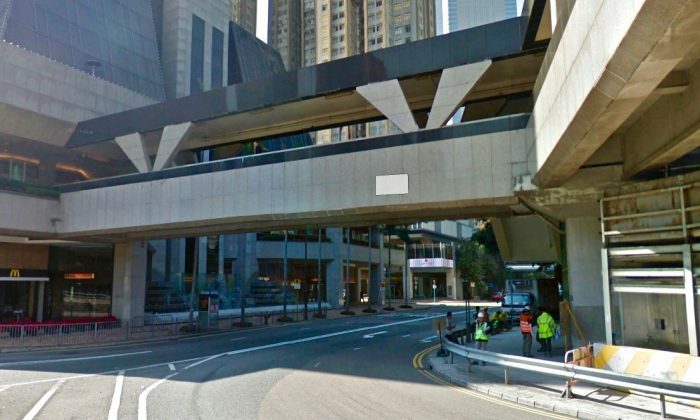 Areas normally teeming with traffic were closed while bomb experts worked to defuse the bomb, according to Hong Kong-based South China Morning Post. The bomb was around 4.5 ft. long and 1.5 ft. in diameter. If the ANM-65 model bomb had exploded, it could have affected people up to about 1.2 miles away, senior bomb disposal officer Tony Chow Shek-kin told the South China Morning Post. It’s not the first time a wartime bomb has been found in Hong Kong, but finding one in the central part of the city is rare, according to the South China Morning Post. Japan attacked Hong Kong on Dec. 8, 1941, one day after it attacked the United States military base at Pearl Harbor. The British surrendered Hong Kong to Japan on Christmas Day the same year. Japan ruled Hong Kong for over three years until World War II ended in 1945.